Ecotope led a ground breaking approach to developing and evaluating a new measure in the Northwest. 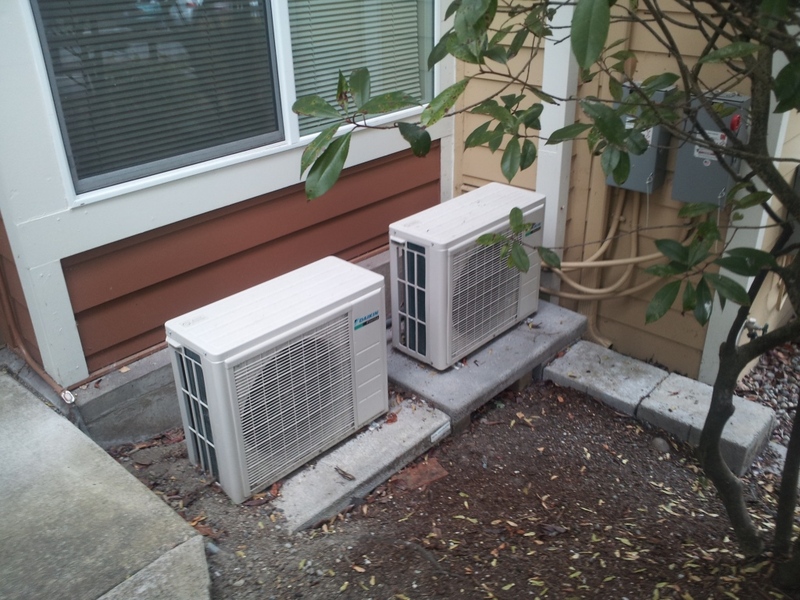 The ductless heat pump (DHP) evaluation provided both reliable savings estimates and specifications for use in future utility programs. Ecotope, in partnership with RIA, evaluated the performance and market acceptance of DHPs as part of the Northwest DHP Pilot Project. The pilot involved nearly 4,000 DHPs installed throughout the Northwest. The goal of the impact evaluation was to quantify the performance, cost effectiveness, and energy savings impacts of DHP retrofit applications of existing, single family homes with zonal electric resistance heat. However, the savings can vary widely depending on occupant behavior such as pre-installation supplemental fuel use, post-installation occupancy changes, and migrating thermostat settings. To address these considerations and meet overall evaluation goals, Ecotope took a multi-tiered, “360 degree” perspective on the technology. This approach allowed the evaluation team and regional stakeholders to make granular distinctions between performance-based and behavior-based determinants of energy savings. The success of this evaluation methodology illustrates the synergistic potential of applying a tightly interconnected approach to lab testing, field metering, variable-base degree day analysis, conditional demand analysis, and a calibrated engineering model in SEEM. Lab Testing. Ecotope developed a lab testing protocol to establish the details of the DHP performance over a range of heating conditions. The testing results confirmed the manufactured supplied rating and were used to develop performance curves for SEEM. Field Metering. Ecotope metered a sample of 95 homes for a minimum of 12 months. This step established DHP energy use and the amount of electric resistance heat used to supplement the DHP. These data were combined with historic bills to estimate the energy savings of the individual homes using a VBDD billing analysis to establish base heating consumption. The data confirmed the lab results and were used to develop a SEEM-based prediction method for assessing energy savings. Billing Analysis. Ecotope then conducted a VBDD billing analysis on the overall pilot, includingnearly 4,000 participants from over 60 utilities across the region. Over 3,600 valid bills were collected and a VBDD analysis was conducted on each home to develop an overall savings estimate for pilot. Using data collected in the pilot, Ecotope used a conditional demand analysis (CDA) to separate the impacts of supplemental fuels and other occupancy impacts. This step allowed separate savings estimates to be developed for homes with non-electric supplemental heating. Calibrated Engineering Model and Cost Analysis. In coordination with NEEA, BPA and the RTF, Ecotope developed calibrated savings estimates using the SEEM model. The calibration used the metered data but also integrated the results of the billing analysis from the overall pilot to generalize the findings. Ecotope worked closely with the RTF staff and the RTF to develop a UES and cost/benefit analysis using costs collected during the pilot and the combination of simulation results and the determinants of savings derived from impact evaluation. The result was an RTF approved “proven measure” which will be the basis for future utility program using the DHP technology.